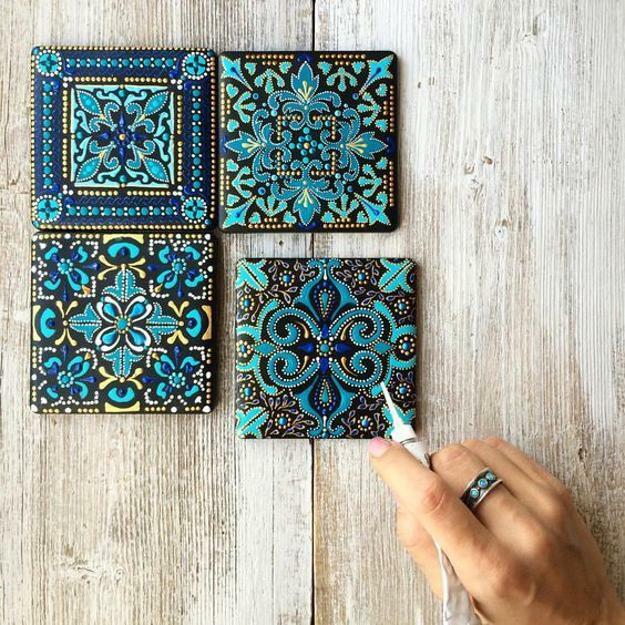 Tender blue color tones and beautiful patterns add charming elegance to unique, hand-painted ceramic tiles by Anastasia Ropalo, the artist from Orenburg, Russia. 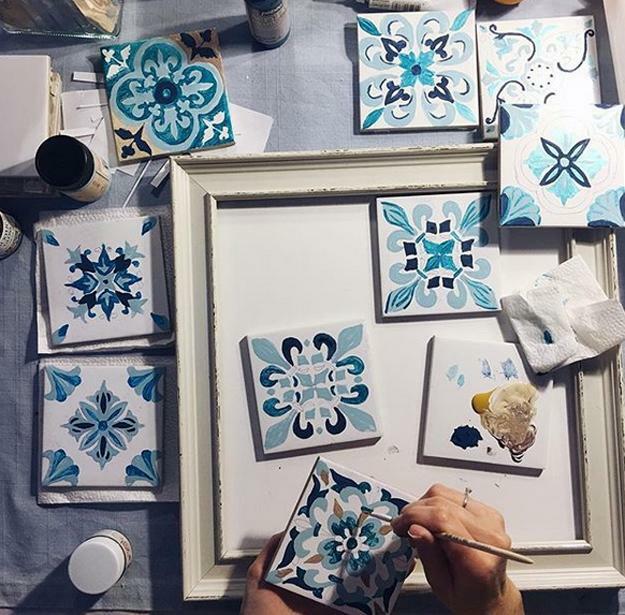 The original tile designs inspired by gorgeous blue colors of morning skies and ocean waves are an excellent way to add a personal touch to home decorating. 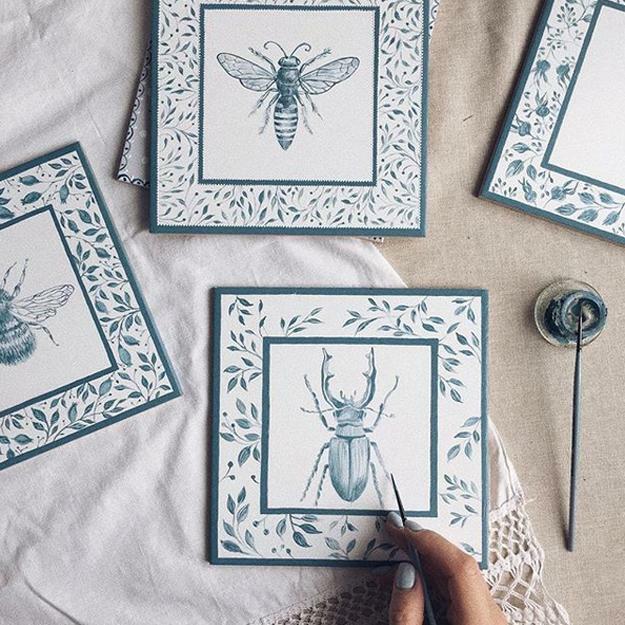 The artist finds lots of creative ideas for decorative wall panels, mirror frames, and wall decoration. 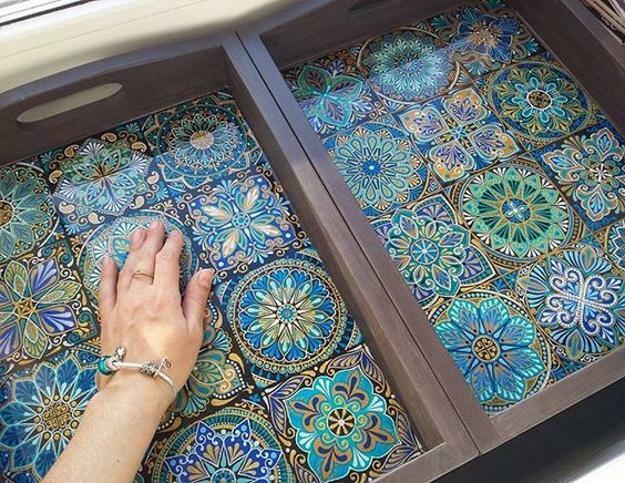 Her kitchen backsplash ideas and decorative plates blend the beautifully painted ceramics into modern homes and create eye-catching accents on walls. 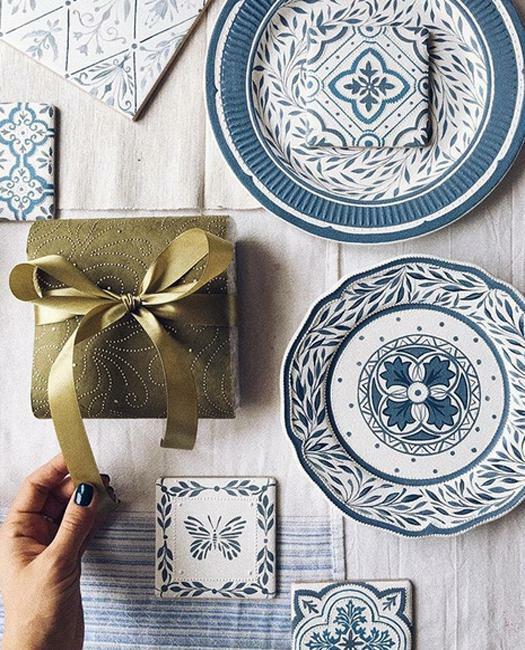 Hand-painted tile designs and original ceramic plates are beautiful ideas for decorating kitchens, bathrooms, and bedrooms. 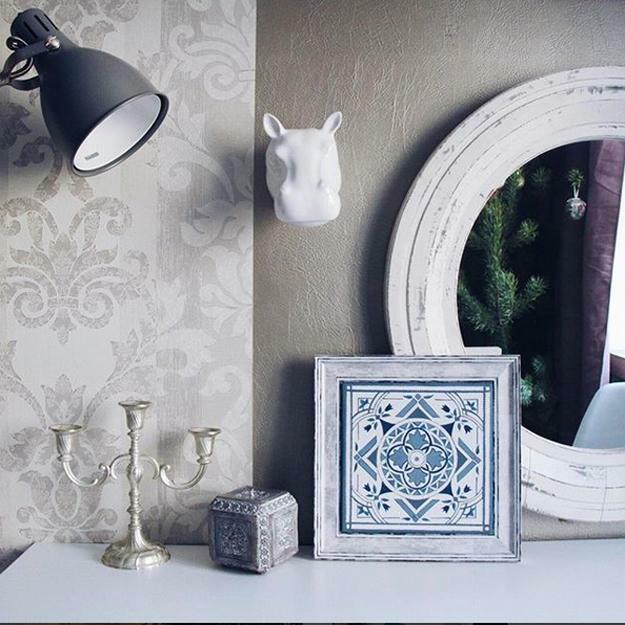 Tiles fireplaces, water fountains, decorative wall panels, and mirrors create an elegant look in modern rooms mixing traditional and contemporary designs into attractive and beautiful home interiors. 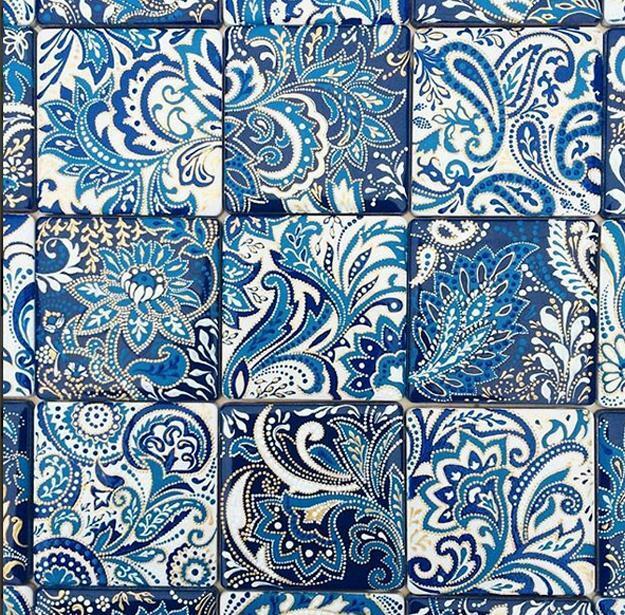 Blue colors are calming and peaceful. 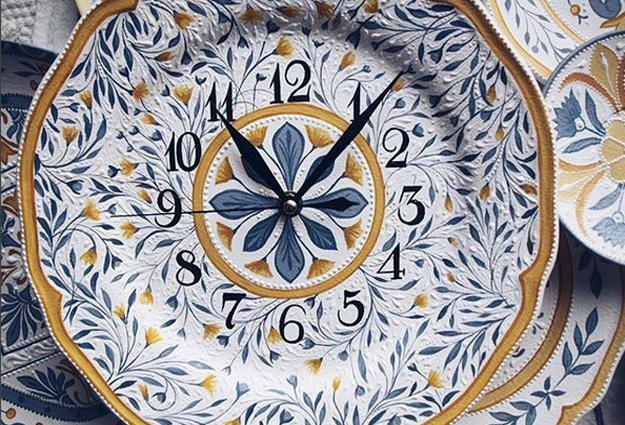 Floral patterns are charming and pleasant. 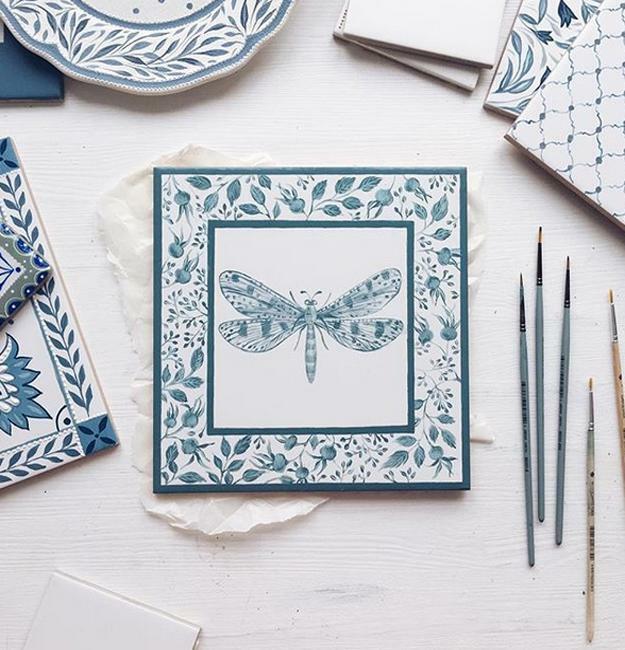 Bringing in flora and fauna indoors through the art of ceramic tile painting helps harmonize modern interior design and create comfortable living spaces. 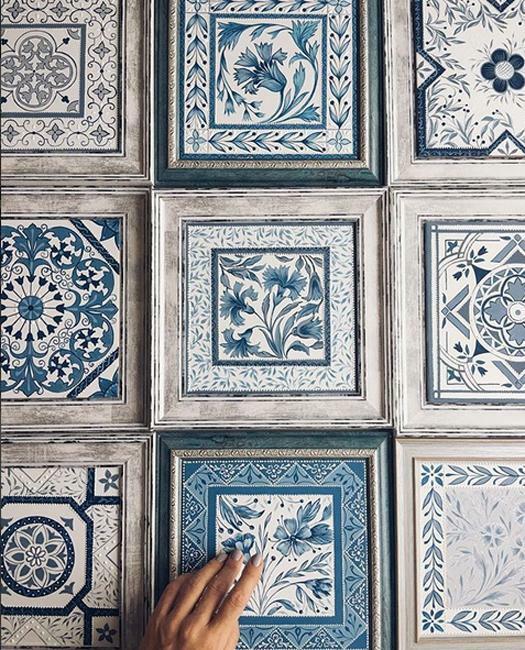 Large murals and small accents in blue color tones look gorgeous and romantic, adding floral patterns and nature-inspired designs to modern interior decorating. 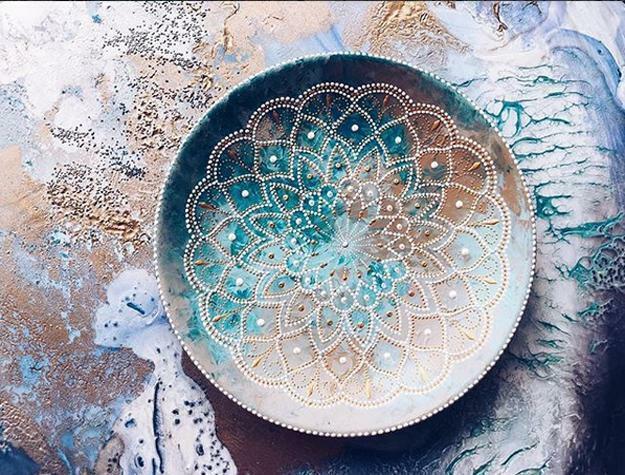 Hand-painting by the artist is original and beautiful. 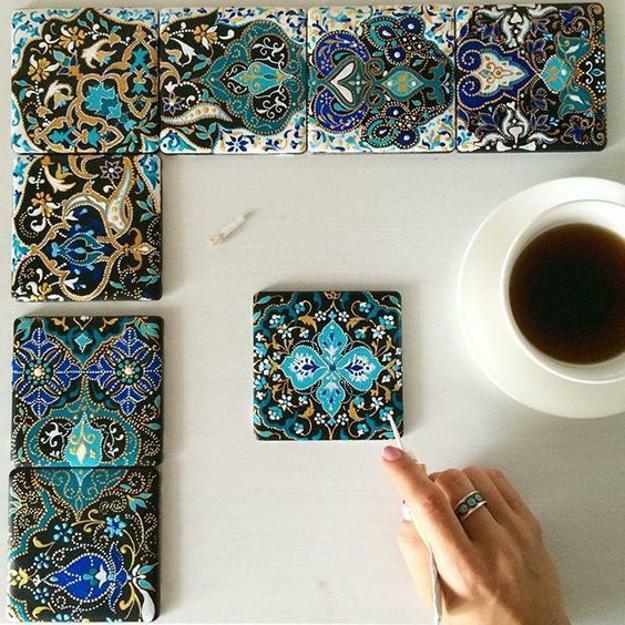 The unique tiles are delightful, versatile, suitable for many interior decorating styles. 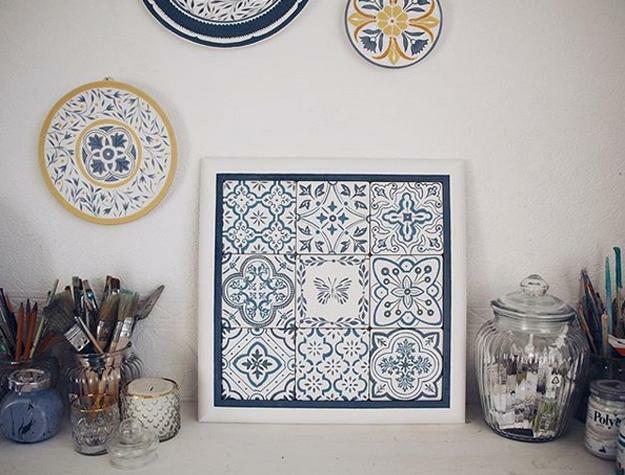 Decorating your walls with ceramic tiles featuring original patterns and attractive colors creates unique living spaces showing your personality. 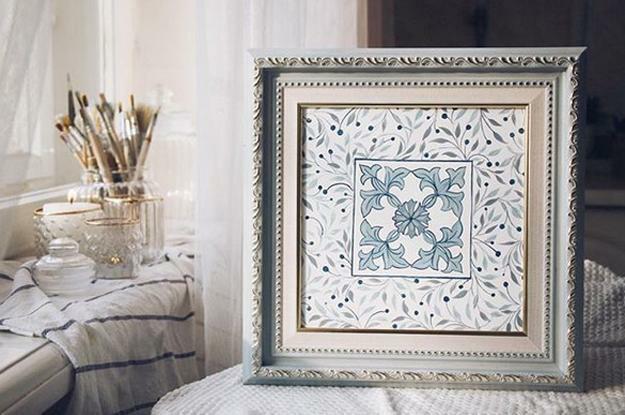 Hand-painted tile designs are a sophisticated way to give your walls an impressive, elegant, and unique look. 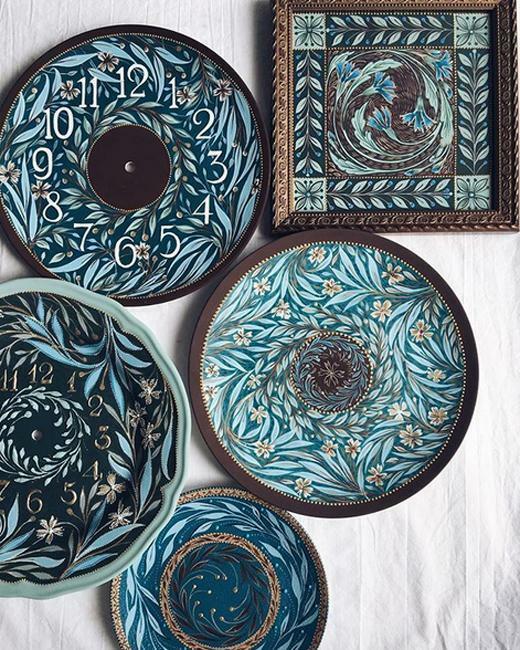 Decorative wall panels, mirror frames, decorative plates, and wall clocks created with hand-painted tiles will fill your home with a romantic vibe and add beautiful accents in gorgeous blue colors to your modern interiors.